When it comes to choosing toys for your baby, it’s important to remember that toys are far more than just entertainment. For babies, their primary mode for learning and development is play. Age-appropriate, stimulating toys that engage, rather than entertain your baby, can help boost their cognitive, physical and social development. During the first 6 months, the best toys for your baby will be geared towards her sensory and motor development. Toys that are black and white or bright and boldly colored will greatly interest your baby. Once your baby begins to reach and grab for things and put them in her mouth, textured toys are a perfect choice. Unbreakable mirrors and cloth books. 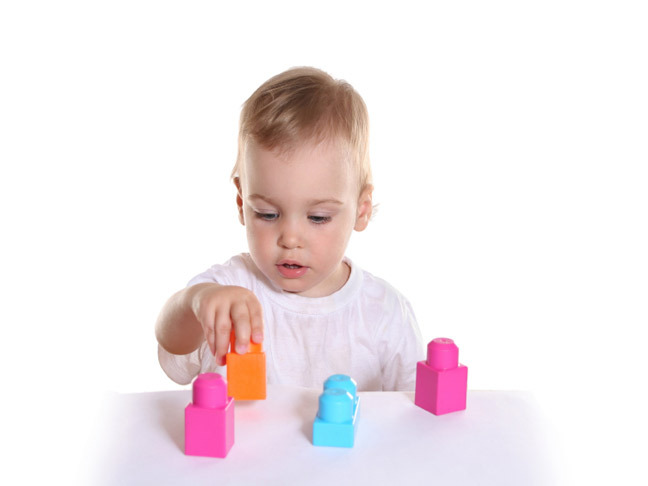 Between 6 and 12 months of age, toys that promote cause and effect and hand-eye coordination are a great option. Basically, anything that has buttons, makes noise, can be dropped, knocked over, stacked up, opened or shut will be of interest to your baby. Push toys that make noise and plastic cell phones. When playing with your baby, it’s always important to remember to make time for tummy time. Since parents are now encouraged to put their babies to sleep on their back, it’s important that they spend time on their stomach each day to promote muscle development and to prevent flat spots from developing on the head. When choosing toys for your baby, it’s important to remember that the more the toy does by itself, the less your baby can do with it. During the first year your baby will develop a host of new skills. Playing with age-appropriate toys can help foster these skills and help your baby grow and develop on track.